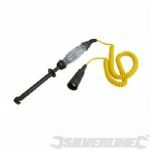 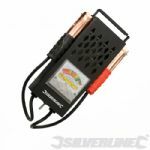 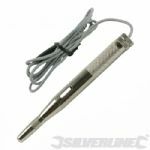 Car light tester with 900mm insulated cable and earth clip. 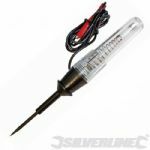 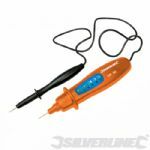 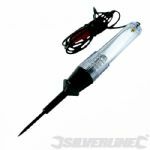 Automotive circuit tester with 900mm insulated cable and earth clip. 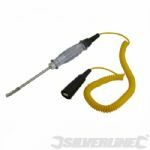 3.6m heat and oil resistant coiled cord. 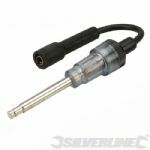 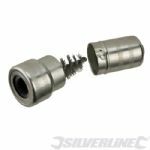 Connects between spark plug and ignition lead to give a clear indication of ignition system function.